There is something delicious about biting into a muffin. That first bite that can surprise the taste buds when trying a new muffin at a cafe or at a friends house. Will the muffin be moist and live up to expectations? What about the first bite of a tried and true recipe, and that brings just sheer delight. 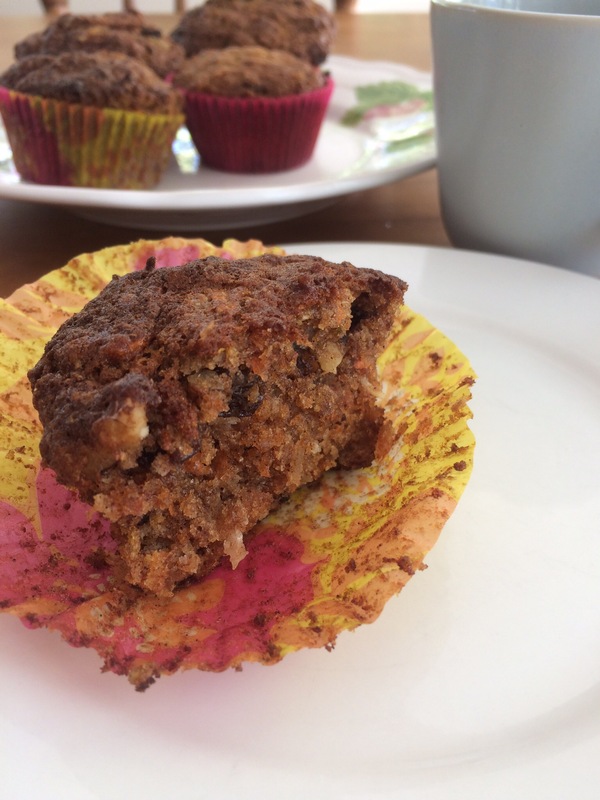 We all have our favourites and Morning glory muffins are a new favourite with me. It all started a couple of months ago with a text from my sister’n’law asking me if I would like to bring some “morning glory” muffins to a family brunch. I replied yes, of course, not having any idea what these muffins were. Being a foodie, I’m happy to try something new. Morning glory, is a flower, right, not a muffin! 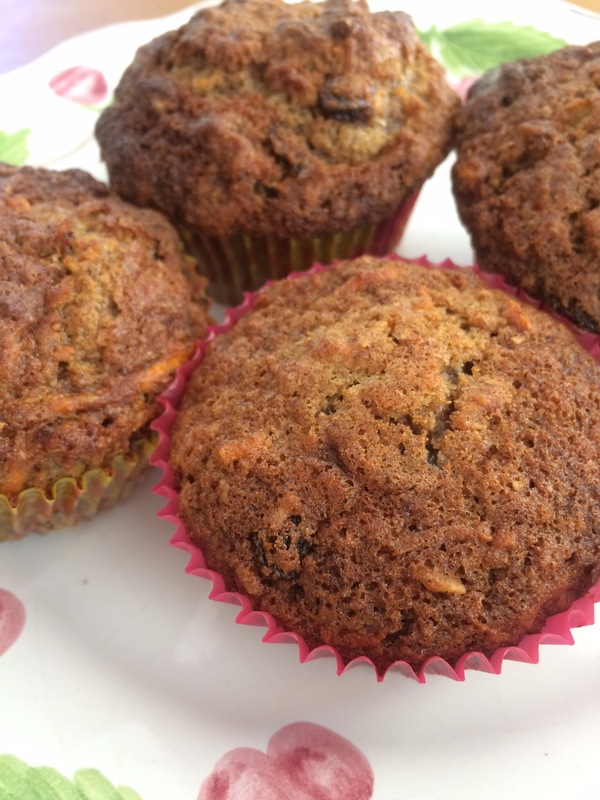 I soon discovered with the help of Google that these muffins were very popular. After thorough research on the internet, I decided to use a recipe from allrecipes.com. This was based on the fact, that I liked the ingredients and the photos looked really good on the website. The recipe is easy to make and I have adapted it slightly since making my first batch. In the effort to make this a “healthy” muffin I’ve reduced the amount of sugar used. It’s got to be healthy if it has carrots, apple, walnuts and raisins in it, right! This is the perfect to start the day, for brunch, or anytime you need that something to go with a cup of tea or coffee. They freeze well too. I hope you try these, I guarantee you won’t be disappointed. Heat oven to 175 deg C.
In a separate bowl, beat together eggs, oil and vanilla essence. Add to dry ingredients together with dissolved baking soda. Combine until mixture is just moist, do not over mix.